Yesterday, Google's John Mueller, Maile Ohye, and Joachim Kupke co-authored a technical blog post on the Google Webmaster Blog on how to make infinite scroll pages more search engine friendly. The issue, as you can understand, is that GoogleBot and crawlers can't scroll down a page and thus can't load more content with that action. In Google;s blog post, they announced the definitive guide on how to make infinite scroll pages more search-friendly. 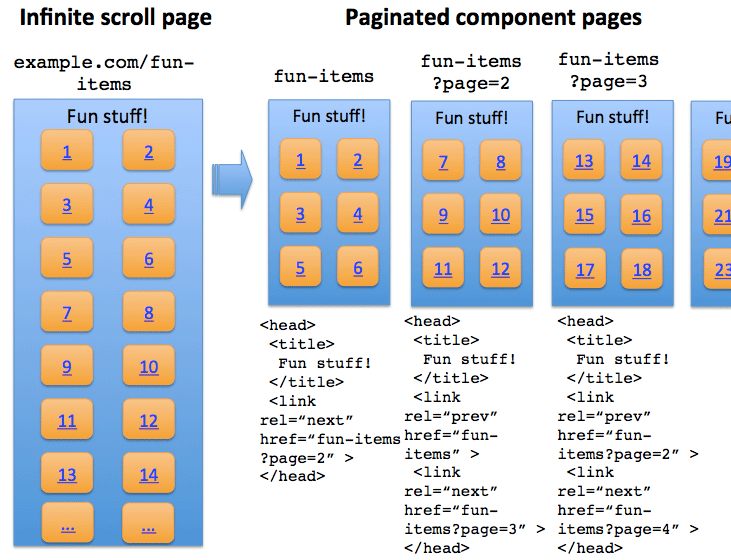 In short, Google is recommending that you convert the infinite scroll page to paginated series by using the HTML5 History API. John even made a demo page of infinite scroll that is search engine friendly.